Instructor Jim Wilson has put together a must have class for every technician out there. This class will help you when it takes longer to diagnose a job than you would like. 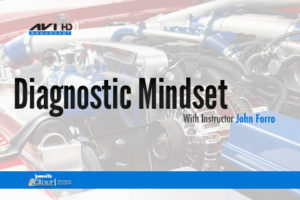 This covers a step by step approach to engine diagnostics: analytical troubleshooting—where to start, preliminary tests you can do to be the most accurate with your diagnostic time —- deciding which tool is best to use for which type of job. In-depth coverage on scanners, labscopes, graphing meters, low amp probes. This is not a superficial glance at what it takes to diagnose today’s complicated vehicles, no, this is an in-depth study guide of how to spot problems before they are problems. 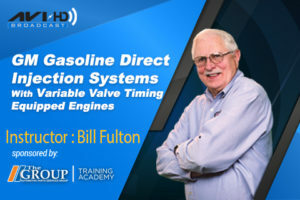 With info on graphing meters, Low Amp Clamp testing – (quick tests for injectors, fuel pumps, ignition coils, even ignition modules…blower motors, wiper motors (anything with a motor, parasitic drains) primary and secondary ignition problems, Jim will cover how to read and understand lab scope readings, the use of mode 6 as a diagnostic tool, how to interpret scanner data, code definitions, and much… MUCH more. Chrysler, Ford, GM, and Import cars are covered in this video. From the O2 sensor to the MAF sensors are covered. 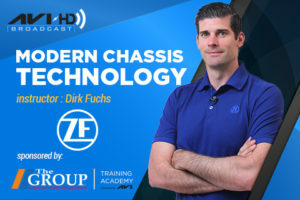 You’ll learn more about the functions and the correct readings on sensors and scope values in this comprehensive video than on any other video you could buy. 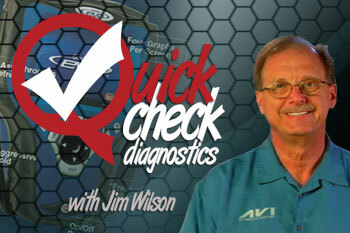 This AVI video, “Quick Check Diagnostic” is a complete guide for the professional technician. Jim will also show you how to set up a Ford for Evap testing, catalytic converter diagnosis, and fuel trim values. Learn where to start to diagnose a car and learn how to get it out of your service bay faster than ever before. AVI has done it again! Instructor Jim Wilson along with the gang from AVI have put together a MUST HAVE video for every technician out there. This is not a superficial glance at what it takes to diagnose today’s complicated vehicles, no; this is an in-depth study guide of how to spot problems before they are problems. Jim will cover how to read and understand lab scope readings, the use of mode 6 as a diagnostic tool, how to interpret scanner data, code definitions, and much… MUCH more. Bring your skill levels up a notch; be able to explain the intricate details of the electronic engine components to your customer and how you found the fault in their vehicle faster and efficiently. The information in this AVI video will do exactly that. Being able to properly diagnose and repair the vehicle is only part of your job. Being able to inform your customer in a professional manner is another big portion of the repair too. With Instructor Jim Wilson and AVI you’ll not only be able to be a more productive technician, but also be able to explain your findings to your customer like the true professional you are. Don’t hesitate, purchase your copy TODAY!